(NaturalNews) Representing one of the most agriculturally bio-diverse nations in the world, India has become a primary target for biotechnology companies like Monsanto and Cargill to spread their genetically-modified (GM) crops into new markets. However, a recentFrance 24report explains that the Indian government has decided to take an offensive approach against this attempted agricultural takeover by suing Monsanto for “biopiracy,” accusing the company of stealing India’s indigenous plants in order to re-engineer them into patented varieties. Brinjal, also known in Western nations as eggplant, is a native Indian crop for which there are roughly 2,500 different unique varieties. Millions of Indian farmers grow brinjal, which is used in a variety of Indian food dishes, and the country grows more than a quarter of the world’s overall supply of the vegetable. And in an attempt to capitalize on this popular crop, Monsanto has repeatedly tried to commercially market its own GM variety of brinjal called Bt brinjal. But massive public outcry against planned commercial approval of Monsanto’s “frankencrop” variety in 2010 led to the government banning it for an indefinite period of time. But Monsanto is still stealing native crops, including brinjal, and quietly working on GM varieties of them in test fields, which is a clear violation of India’s Biological Diversity Act (BDA). So at the prompting of various farmers and activists in India, the Indian government, representing the first time in history a nation that has taken such action, has decided to sue Monsanto. 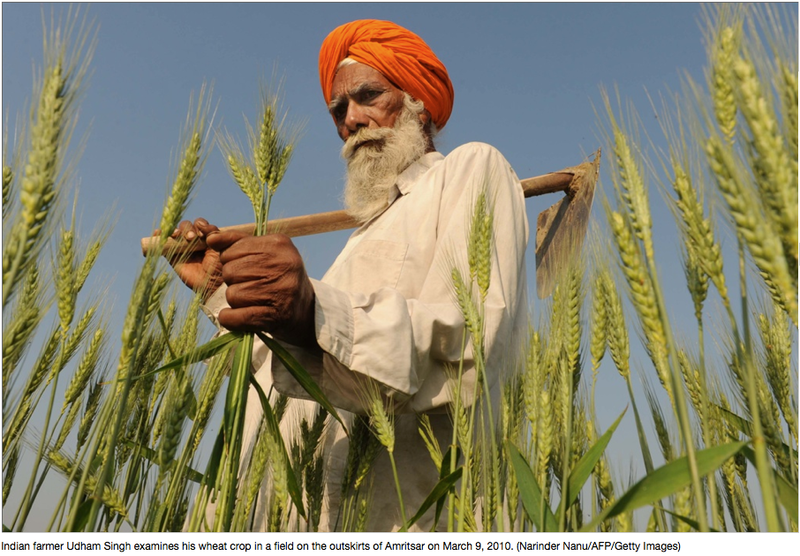 Farmers and active members of the public in India have been some of the world’s most outspoken opponents of Monsanto’s attempted GM takeover of agriculture. Besides successfully overturning the attempted approval of Bt brinjal, these freedom fighters have also successfully destroyed several attempted Monsanto GM test fields.